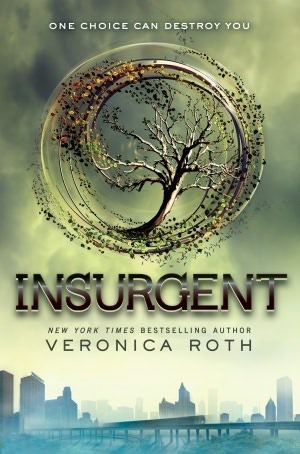 Insurgent begins directly where Divergent left off. Straight in the middle of all the action and explosions. Which is exactly, dear reader, where you want to be. Beatrice is gone completely and Tris has taken over. While you see softer sides of the character, you will also see the harshness that comes from fighting for freedom, and the vulnerability of keeping secrets and spouting lies are prevalent in the character’s new attitude. The factions are split due to the war the Dauntless had with the Erudite at the end of Divergent. 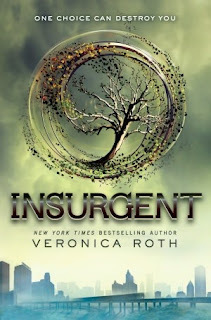 In Insurgent we begin to learn more about the other factions. What guides them, what they work/live for, who they are aligned with politically for example. This gives Veronica Roth the unique opportunity to introduce the reader to new characters. She does this well. While Tris and Four are busy trying to figure out their relationship and lead a rebellion, Roth weaves a subplot of destruction and side characters giving you a glimpse into the daily lives of the other factions we were unable to learn about due to Tris’ limited world view. Jack London was best known for his novels, such as Call of the Wild, White Fang, and The Sea-Wolf, just to name a few. But what if his real-life adventures were even more mind-blowing than his fiction? 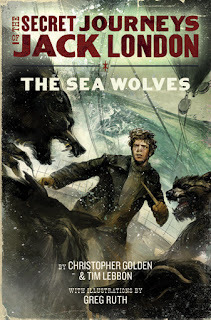 That question prompted authors Christopher Golden and Tim Lebbon to create a series with a supernatural twist, using a young and daring Jack London as the main character. The Russian Far East, early December 1997. Vladimir Markov is dead, killed in gruesome fashion. The killer is obvious: a Siberian tiger. What little remains of Markov's body is torn and tattered. When Yuri Trush arrives at Markov's cabin, he records the scene with a video camera. Mahlia and Mouse are War Maggots, children orphaned by endless bloodshed across future America. The seas have risen and many of our large East-Coast cities have struggled to keep functioning. That struggle leads to violence, the kind of which leaves only the young to deal with the consequences. These child soldiers have inherited and will fight to control the Drowned Cities. 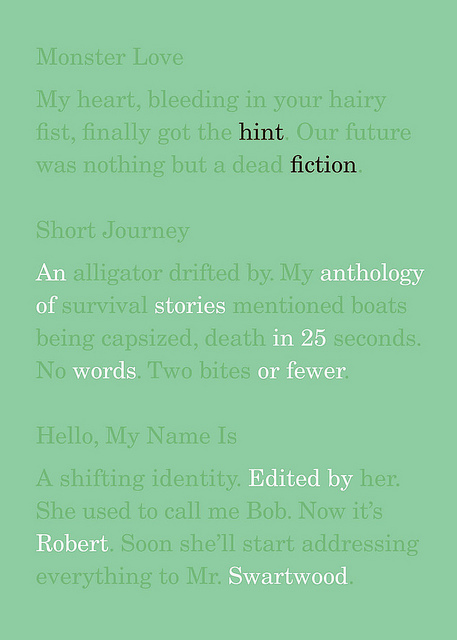 Author Paulo Bacigalupi slammed onto the young adult scene two years back with Ship Breaker. Resources are depleted. Oil is gone. New Orleans has been destroyed by hurricanes and rebuilt multiple times. Nailer, a boy hired to scavenge scrap metal in massive retired oil tankers, manages to find a path to a better life. Nailer desperately tried to take that path, despite opposition from ruthless vultures, specifically his drunken, abusive father. My very educated mother just served us nine pies. When I was a little kid, that's the mnemonic we learned to remember the order of the planets. But in 2006, members of the International Astronomical Union decided that, in fact, Pluto, the 9th planet is not a planet in the same class as the others. Controversy surrounded the decision, and a lot of the fallout came to rest on astrophysicist Neil deGrasse Tyson, in part because Tyson, as director of New York City's Hayden Planetarium, was in many ways instrumental in helping to change the ways in which scientists think about and classify planets and the ways in which we, the general public, learn about space and our solar system. This book gives a brief history about the discovery of Pluto and the ways in which the plucky former planet captured in particular American imagination. 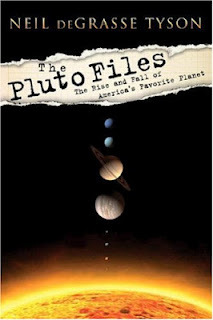 Tyson's still is clear and engaging as he discusses Pluto's place in popular culture, in history and science and the chronicle of Pluto's "fall from grace." It is so interesting to consider the way in which Pluto has really grabbed hold of our collective imaginations. It seemed that we did NOT want to let go of Pluto's planetary status. It seems really strange that so many people seemed to take Pluto's demotion to dwarf planet as a personal insult. Tyson speculates a little as to why this might be, why Americans in particular seemed so upset by Pluto's reclassification. Some reactions were extreme -- New Mexico and California both proposed legislation declaring that Pluto is still a planet, at least within those states. Absurd but true. I have been working through Tyson's book Death by Black Hole and Other Cosmic Quandaries, a series of essays about everything from the nature of knowledge to the meaning of life, and I really enjoy Tyson's easy style, but if you're expecting straight up science, you might be disappointed. I would consider these books more in the realm of cultural studies than science, although I assume that the science in the books is sound as Tyson holds a PhD in astrophysics. These books are perfect for the casual science enthusiast, someone who wants to know more but maybe isn't great at math or someone who shouldn't actually attempt chemistry because s/he has been known to set lab equipment on fire (on accident, and it was only the one time, two times, geez). I'm going to pose a seemingly nonsensical riddle worthy of the Mad Hatter: How are good dystopian novels like gangster films from the 1930s? In a future very near to us war has broken out between the US and China, where biological weapons were used to unleash virus that brought about a world-wide pandemic and plague. 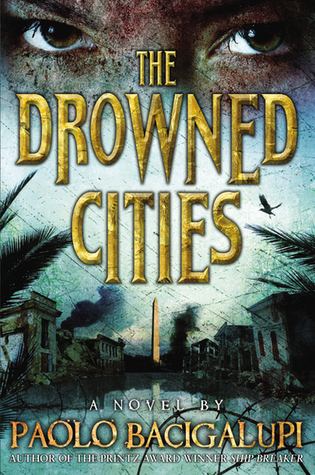 In a distant future, sixteen years after the war, chaos reigns as small enclaves of survivors eek out primitive lives as society tries to pull itself back together. Small bands of scavengers brave the wilds sifting through the detritus of shopping malls and downed aircraft looking for anything of value to trade for food or necessities. America, it seems, is little more than pockets of feudal communities clinging tenaciously to the way things were with roving bands of ex-military slave traders looking to trade the only commodity left on the planet. 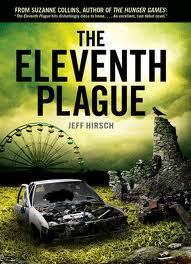 This is the backdrop against which The Eleventh Plague by Jeff Hirsch begins. For his entire sixteen years all Stephen has known is the nomadic life under the direction of his ex-Marine grandfather, and the book opens with Stephen and his dad burying the patriarch who like millions before him has succumbed to the plague. There is a sense of being relieved of a burden while at the same time being set adrift. Stephen and his father will continue as they have, as scavengers looking to trade for sustenance, but is that really all they want from life? Holed up in an abandoned plane during a storm, Stephen and his dad encounter a group of slavers with some newly caught slaves. Their moral compasses properly set, they attempt to free the slaves but are barely able to flee for their own lives. During the escape Stephen's father is injured and falls into a coma, and while nursing him he is taken by what he believes are a rival band of slavers. Instead he is taken to the town of Settler's Landing where, for the first time, Stephen catches a glimpse of what life was like before he was born. Labels: dystopian , Science Fiction , Survival , War - What Is It Good For? 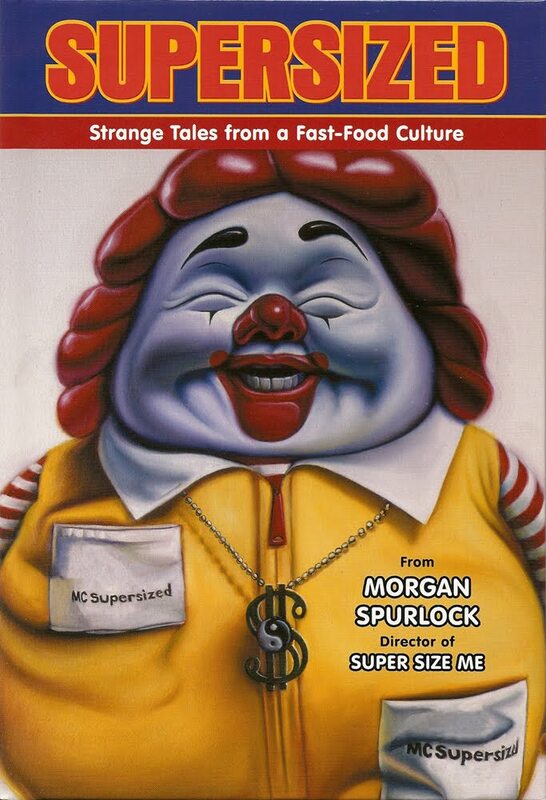 Last year, Morgan Spurlock put out Supersized, which is kind of an unofficial graphic novel companion to his 2004 documentary, Super Size Me. In the movie, Spurlock ate only food from McDonald’s for thirty days and watched the negative affects on his health, which were many. Supersized goes in behind the scenes with even more disturbing facts and stories about fast food and an incredibly creepy faux Ronald McDonald. Disturbing and creepy are definitely the words to describe this graphic novel. Spurlock writes about every gross thing that could happen at a restaurant like food being dropped on the floor and still served to customers or animal parts being mixed in with your lunch. He also talks about his experience in his documentary and a number of tricks the food industry uses to get people to eat more and more unhealthy food. The art, from various Dark Horse cartoonists, is bright and fun and a nice contrast to the darker stories. There is also a number of subtle jokes and gags imbedded in the artwork, which adds to the depth of the book. My overall opinion is a bit split on the book. I appreciate the new stories and information and this is a great format for what Spurlock wanted to accomplish. As a diatribe on the fast food industry, Supersized comes off as too blunt, too disgusting and overreaching. Yet, as a humorous, gross-out graphic novel, it is right on target. Anyone who enjoyed Spurlock’s documentaries or books, Fast Food Nation by Eric Schlosser or any of the other books detailing the modern food industry will appreciate Supersized. As I look at my notes for books to discuss here this month, I find myself looking forward, rather than back: what are the books I've socked away to read this summer? What are the books I've been looking forward to reading now that school's over and I've got some time? Ephiram Scott's life is in a rut when he discovers a dead boy who looks exactly like him--so much so that Ephiram's mother thought Ephiram was the one who got run over by a bus. What's more, Ephiram's twin came into the morgue with a strange coin: Make a wish and flip it. 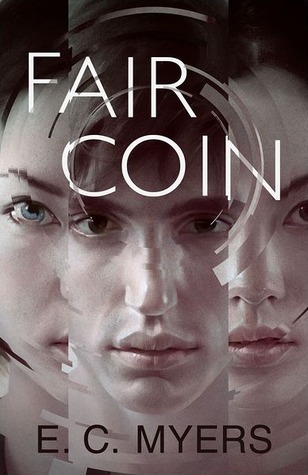 If the coin comes up heads, Ephiram's wish comes true. If it lands on tails, he still gets what he wished for, but with terrible results. Ephiram can try to set things right, but only by risking another wish. The Knife of Never Letting Go, Part 1 of the Chaos Walking trilogy by Patrick Ness, has been mentioned a few times on this site, when its sequels have been reviewed, but it's never gotten a complete treatment, and with the recent news that Charlie Kaufman (of Being John Malkovich fame) has begun work on the film adaptation, I thought it a good time to finally give the first book in the series a look. Todd Hewitt is awaiting his thirteenth birthday, the day that he becomes a Prentisstown man. He will be the last Prentisstown boy to become a man. Prentisstown is a settlement town on an alien planet known only as New World which consists entirely of men. There will never be another Prentisstown boy because a virus released in a war with an alien species called the Spackle killed all the women. It affected the men too, but in a very strange way. All the men of New World have become unwilling telepaths unable to keep themselves from transmitting their thoughts and hearing the thoughts of others. The result is a world filled with Noise, a chaotic soup of male thought and feeling, every man's inner world on display, but muddled in the mess. To make matters even weirder, animals thoughts are projected into the soup too. Effectively, New World animals can talk. Todd has a dog, Manchee, who has plenty to say, though much of it is about poo and squirrels. Labels: dystopian , Fantasy , War - What Is It Good For? A man awakes. Or, more correctly, a man is awoken. He does not know who he is, or where he is. He remembers little except for the Kollaps, recalls few details about the past other than a sense that something went very wrong with his world. He does not know whether to trust what the men who have awoken him are telling him. About who he is, about where he is. Even worse, he senses they are lying to him about why he is. Why he is paralyzed, why he is hairless, why he is seemingly impervious to the environment that kills everyone else. Why he is still alive. And without such answers, Josef Horkai struggles with the most pressing question of all: Am I still human? Short is in lately. Even before Twitter, Hemmingway's six-word story had its moment, spurring magazine pieces and a book collecting contemporary writers' own six-word works. And in the age of the tweet, we've had themed collections of news tweets and breakup tweets, to the breakout success leading to publishing compiled tweets of fictional Rahm Emanuel during his mayoral campaign. 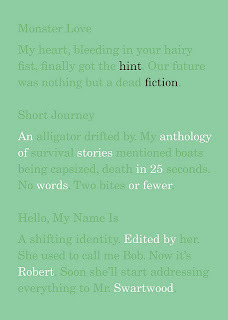 A recent addition to the bunch is a short story collection of a sort, hint fiction, edited by Robert Swartwood. Swartwood sought to collect stories of fewer than twenty-five words, and not just opening lines or quick summaries, but stories satisfying in themselves while offering a glimpse of a larger story hiding beneath. ... caffeine and theobromine may not be the only psychoactive compounds in (chocolate). A recent report has indicated that one component of chocolate is very similar to the natural chemical in the brain that interacts with our THC receptors -- the receptors to which the psychoactive compound in marijuana binds. Although the concentration of this compound is quite low in chocolate (it was estimated that one would have to eat twenty-five pounds of chocolate to stimulate the receptors as much as a typical dose of marijuana), it is possible that its presence could supplement the natural THC-like compound in the brain enough to produce a subtle effect. These results have led some to speculate that the vague sense of well-being and happiness that some people report in response to chocolate may be related to the interaction of the subtle drug effects associated with low-dose caffeine with those associated with activating the natural THC receptors in the brain. I think the reader is cheated by this report. "the natural chemical in the brain" is anandamide. It is also produced in the womb. And why did the authors not name the other psychoactive molecule in chocolate? Phenylethylamine, or PEA, is an amphetamine-like substance. THC and PEA bind to the same receptors that anandamides in the womb bind to. Let me tell you this: if you ever sat down to yourself and said "You know what the world really needs? 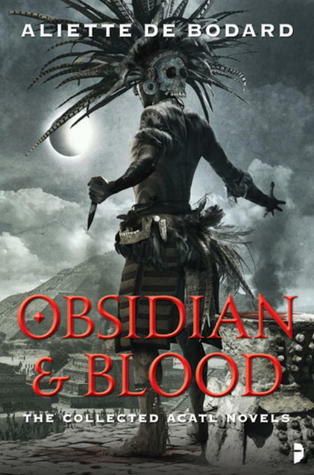 An Aztec noir murder mystery with strong fantasy overtones," then you can rejoice, because Aliette de Bodard's Obsidian and Blood trilogy (Servant of the Underworld, Harbinger of the Storm and Master of the House of Darts) delivers exactly that, and quite a lot more. Granted, most of that "more" it delivers is blood, but this is an Aztec series, and the main character Acatl is the High Priest of the Dead, who relies on sacrificing animals in order to commune with the gods. It didn’t hurt that the book within the cover was fantastic. (And has an awe-inspiring twist partway through.) And then I waited for Harkaway to publish another book. And waited. And waited. Sure, he’d occasionally mention on Twitter that he was working on something, but his Tweets (though enjoyable) were no substitute for a second book. 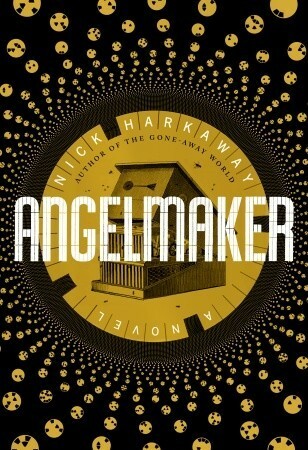 And then, finally: Angelmaker. And I was not disappointed. Thank you Valerie Baartz for the book Juicy Central Tia Fitting In....I had to quickly add it to our catalog..YES!!!! TEENS READING!!!! Thank you Katherine Loomis!!!! Bitterblue was a tug a war among the students. YES...a summer reading book!!!! Thank you Elizabeth Louros You rock!!! A Girl Like Me book had the students tugging for a first to read title....Yes!!! Follow Ballou for more updates in the coming days as the books continue to arrive. We will be back with another book fair this fall, with many more great books and a few more things we're cooking up to share with you how much this all means to the kids in this DC school. This was a good thing we did guys, and it really has made a difference. THANK YOU ALL!!!! Thanks for helping! We are winding down today, May 1st. Please shop the wish list through midnight PST. If you have any questions about how to navigate the list or why we are doing this or why we chose Ballou, please see the main post on the Book Fair. Also, please follow @BallouLibrary on twitter for updates at the books arrive! What's more steampunk, really, than a train? China Mieville's new YA science fiction novel, Railsea is set in a world of rails and gadgetry that looks both to the future and the past. It's one of those steampunk settings that sets your view of the world askew, both prediction and history, both alien and familiar. Unsettling. Weird. Railsea takes place in some indeterminate Earth future when vast expanses of the planet have been covered with rails that crossover and tangle and knot and head off endlessly over "flatearth" in every direction. What's more, the ground over which these rails run has become populated with enormous burrowing creatures, moles the size of tanks, head-sized beetles, human-sized earth worms, just about anything that crawls or digs is geometrically larger and more dangerous beneath the railsea.